Part number four: What does it mean to me? Dear readers, today i am going to tell you about, the interpretation of our findings. I have always considered myself as a practical man, the desire to work less and earn more was very pronounced in my personality. This has been the leading cause of our research, despite the academic value which our research brings, the biggest motivation to perform and analyze it was probably the perspective of earning money. People who work in Wallstreet, knows better than anyone that the real currency in today's world is information.We believe that our research provided enough ground to draw some conclusions. If you remember the sentiment graph which i have posted yesterday, we have identified 7 major spikes, which we investigated thoroughly. As you can see two most significant spikes in sentiment occurred during the March 2017. The main reason behind this spike was the fact that price of one Bitcoin surpassed the price of ounce of gold, this marks a huge milestone in cryptocurrency world, as well as a massive breakthrough in people's perception. However shortly after, we encounter the biggest negative spike, once again caused by a obvious reason. In U.S. there was ongoing debate in Securities Exchange Commission (SEC) whether to list Bitcoin as an exchange tradeable fund, which would have simplified acquisition of Bitcoin for many traditional traders and investors.The movement was mostly represented by the famous Winklevoss twins, well known Bitcoin proponents. Unfortunately, SEC has decided that it is too early to list Bitcoin, arguing that currency is in it's inception stage and carries too much risk at this point due to it's volatility. 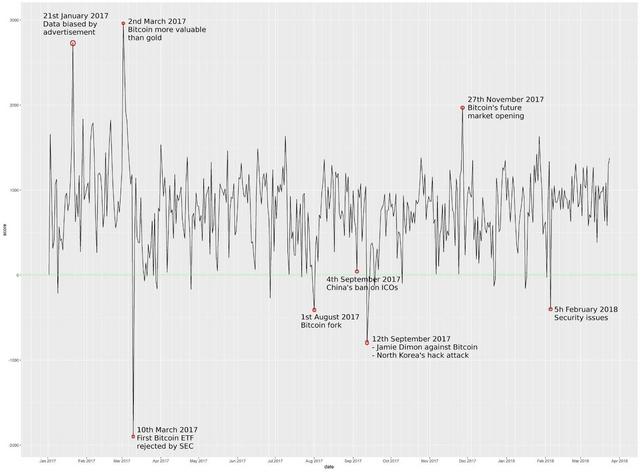 This information provides us insights into Bitcoin community's perception of the market events.It is clear that new's regarding the attractiveness of bitcoin and it's comparison to real tangible goods are very influential to market participants.We also observe the speculation element, since the SEC ruling anticipation bubble burst has caused the most significant negative spike through the investigated period. Tomorrow i am going to touch upon next two sentiment spikes and share my insights, with my dear steemians. Well, I believe bitcoin will soon be considered by SEC if consistent pressure is mounted. And as soon as it passes that stage, other valued coins will follow. 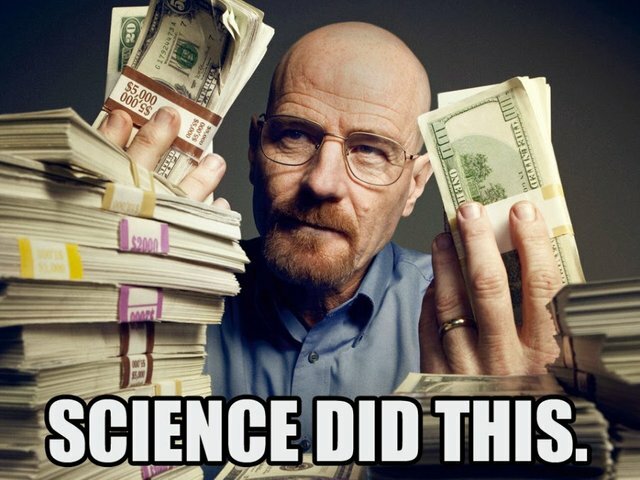 I am not sure whether they will regulate it or not due to their stance that Btc is not a security, basically saying its not a token, but a currency, anyhow i believe that we are still in the early stages of this new trend with the massive potential.In my next posts i am going to unveil other factors that we have to improve, before the revolution will take place. Thank you for your feedback and stay tuned. We can only keep ou fingers crossed and see what SEC is up to in the next pne year. But i do believe that with the increasing influence and wider acceptance of blockchain, its only a matter of time before they reconsider their stance on this issue. I believe that at some point the crypto world and blockchain can outgrow such rulings, i always like to take historical perspective for this. If we would take a look back, 30 years ago cash was the only prevalent and established way to pay for things, however now everybody is cool with invisible money brought by Visa and Mastercard, personally, i see no problem for future generations shifting to cryptos and blockchain, leaving those financial institutions regulating the system which is already dying.That my two cents.Thank you for your feedback, appreciate it. You got a 2.95% upvote from @upme thanks to @buff-news! Send at least 3 SBD or 3 STEEM to get upvote for next round. Delegate STEEM POWER and start earning 100% daily payouts ( no commission ).